Is Making Final Fantasy A Nightmare? The last big Final Fantasy title to hit store shelves, Final Fantasy XIII, was years in the making. The end result was a disappointment, with many of those who worked on the game leaving studio Square Enix (or even worse, apparently). 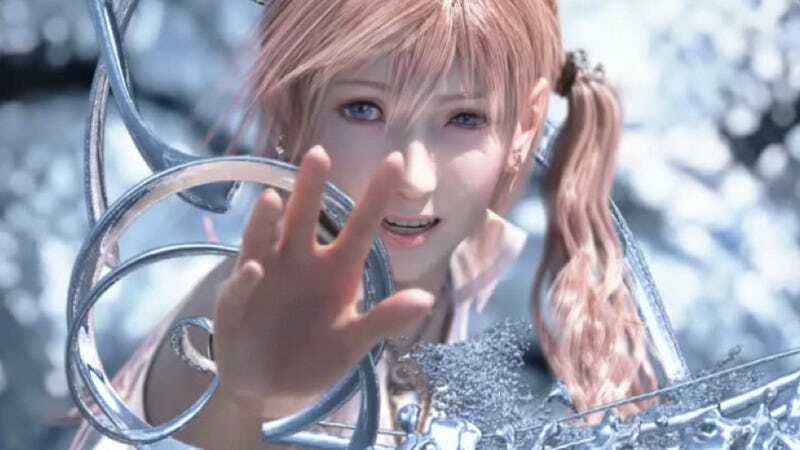 Since Final Fantasy XIII was released, the game's director Motomu Toriyama and producer Yoshinori Kitase are still at Square Enix, as well as the game's art director and background graphics director. However, a chunk of the team apparently left after the game's release: battle planning director Toshihiro Tsuchida (who directed 1995's Front Mission for Square), background technical director Takashi Ohkuma (who quit Square Enix and moved to an island in Okinawa to blog about sunsets), composer Masashi Hamauzu (who had been with the studio since 1996), character art designer Nao Ikeda (who started designing characters for The Legend of Mana), among others. Sure, turnover is high after game companies finish big titles. But what all these game developers have in common is that they were long-time Square Enix employees. Some of them went off, like Hamauzu and Ikeda, to found their own freelance operations. All of them leaving after Final Fantasy XIII was released. Yoshinori Kanada, who was FFXIII's storyboard director, wasn't so lucky. The 57 year-old died of a heart attack in July 2009. Besides his work at Square Enix, Kanada also worked with Hayao Miyazaki on a slew films, including My Neighbor Totoro and Nausicaä of the Valley of the Wind. It should be pointed out that Japanese anime is a tough business, and many don't make it to sixty. The Japanese game industry isn't a cake walk either. Unconfirmed reports also surfaced depicting Square Enix as a dark place to work. Former Square Enix game developer Yasuyuki Honne tweeted that two Square Enix employees attempted suicide. One was apparently successful, while the other supposedly was not and is now in a vegetative state. "Another seems to have died from cancer...," Honne added via Twitter. Honne's tweet has since been deleted, and he does not clarify when the deaths occurred, though it does seem recent as the last Square title he worked on was 1999's Chrono Cross. Also, with a company as large as Square Enix, there are bound to be troubled individuals — of course, as well as those unfortunate enough to be stricken with cancer. While Final Fantasy Fantasy XIII might not have lived up to the hype, the game was more successful than Final Fantasy XIV, which continues to bleed players and flounder about, and successful enough for a sequel, Final Fantasy XIII-2. That game will be out later this year.